This Try Dive is the perfect introduction to scuba diving, and the Andamans is the perfect place to learn. 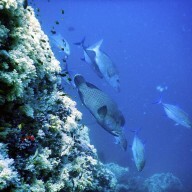 You'll be diving at Nemo Reef, with clear blue-green water and a wide variety of small marine life. You'll wade into the water from the shore, saving the time spent on a boat dive, and getting straight to the fun part! When you arrive at the Govind Nagar beach, you'll do a short training session of about 20 minutes, and then head out for a 20-25 minute dive. During the Try Dive, you can dive to a depth of 40 feet to see the schools of colourful fish, vibrant corals, and gentle waters of the beach. At the end, we guarantee you're going to want more! NOTE: For this Try Dive scuba trip, you'll enter the water from the shore itself. There is no boat trip involved. The dive center is located on the gorgeous Govind Nagar beach on Havelock Island, but you'll be diving to explore the nearby Nemo Reef. Also called the 'classroom reef', Nemo Reef is not too far out from the shore, and lies on a sandy bottom, in gentle water, making it perfect for beginners. There is plenty to see here, with colourful 'Nemo fish', sea horses, shrimp, and vivid coral under you. You'll walk down a white sand beach lined with palm trees, kit up, and wade into the peaceful sea for your scuba diving adventure. • Experience your first Try Dive on a gorgeous beach in the Andamans. • Learn basic scuba skills and how to use your scuba diving gear. • Dive to a depth of 40 feet, and spend about 25 minutes underwater. 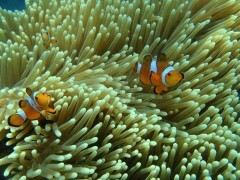 • Spot rare and exotic fish and the vivid coral at Nemo Reef. Travellers are required to follow instructions of the dive instructor during the shore Try Dive at Nemo Reef. Travellers are requested to treat the local culture with respect and avoid littering, defacing property and monuments and causing general disturbance. Consumption of liquor, drugs, tobacco products and cigarettes is strictly prohibited during the shore Try Dive at Nemo Reef. 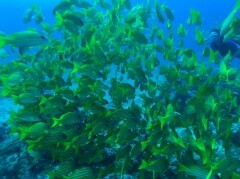 For cancellations made 30 days or more before departure of the Nemo Reef scuba dive: 100% refund. 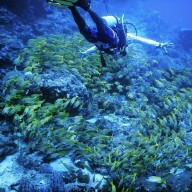 For cancellations made 7-29 days before departure of the Nemo Reef scuba dive: 50% refund. For cancellations made less than 7 days before departure of the Nemo Reef scuba dive: no refund. In case of no show: no refund. All refunds will be processed after deducting a transaction fee of INR 200 per person. This fee is charged by The Great Next. Travellers are required to complete a detailed medical questionnaire sent after confirmation of the booking. Depending on the answers of the questionnaire, travellers may be required to get documented doctor's clearance allowing them to participate in scuba diving. 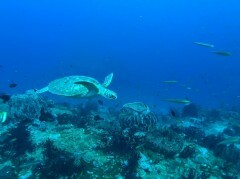 This allows the dive instructor and staff to customize the dive experience to each traveller. Travellers will be required to bear any additional costs arising due to unforeseen circumstances such as bad weather, natural calamities etc. The tour operator takes utmost care to ensure safety of the travellers and shall not be held responsible for any mishap, accident or loss of life during the shore Try Dive at Nemo Reef. No pick-up for this Nemo Reef Try Dive. No drop-off for this Nemo Reef Try Dive. 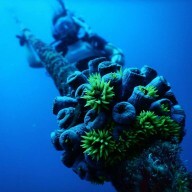 Try Dive at Nemo Reef! Wake up bright and early to arrive at the dive center by 07:30 hrs. Here, you'll meet your dive instructor and begin a short training session. In the shallow waters, of either the beach or a swimming pool, you'll learn to handle the scuba equipment and practice the hand signs and protocols to be followed. After you're comfortable, you'll wade into the open sea and swim to the nearby Nemo Reef. Enjoy diving and exploring the Nemo Reef and swim alongside the brightly coloured fishes and lively corals. Return back to the beach at the end of the dive. Your trip ends here. 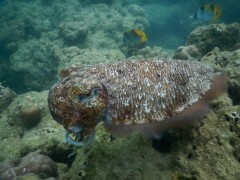 Go scuba diving at Nemo Reef in the Andaman Sea. Personal expenses like meals or beverages etc. Any costs arising due to unforeseen circumstances like bad weather, natural calamities etc. Please check the Overview tab for itinerary details. If you have further questions, you can chat with us online. The dive center is located on Govind Nagar beach, Havelock Island. The island is accessible via a ferry ride from Port Blair. You may board a flight to Port Blair's Veer Savarkar International Airport and travel to Havelock Island via a ferry ride. You can hire a local taxi from the Havelock Island jetty and reach the dive center.